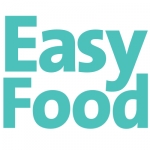 Win the best Christmas hampers on market! Hampers & Co are Ireland’s leading gifting company with over 27 years’ experience providing a bespoke gifting service. Founder Emer Purcell spent the first half of 2018 sourcing and curating a luxurious product range for the distinctive Hampers & Co collection. From vineyards in France and Spain, to local Irish producers, the Hampers & Co 2018 collection includes culinary treats and superior products from a selection of award-winning premium producers. The Epicurean hamper is the perfect pack for festive hosting, packed with bottles of wine and bubbly prosecco, award-winning dips, crisps, crackers, chocolates and sweets, plus tea bags for unwinding after all of that indulging! 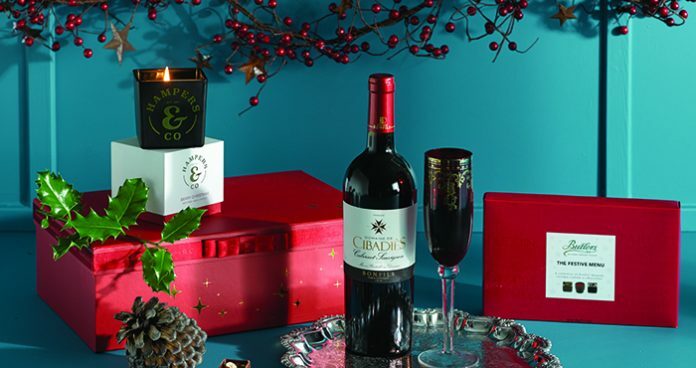 The Wine and Candles gift box sets you up for Christmas luxury with a collection of Hampers & Co natural soy wax candles, wine and an assortment of Lily O’Briens luxury chocolates. The Christmas Greetings Gift Box is essentially Christmas in a box! 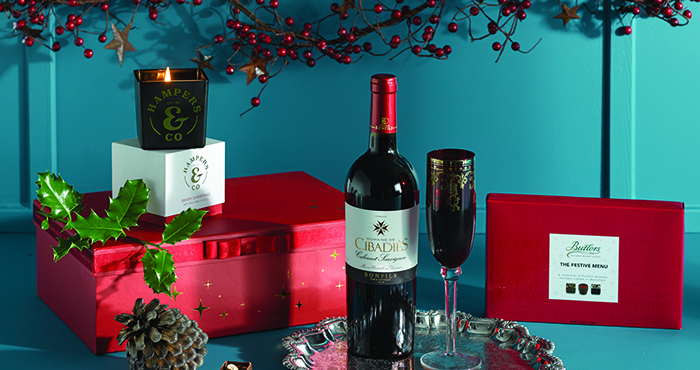 It includes a Christmas greetings gift box, a Hampers & Co candle in “Berry Christmas”, a collection of festive Butlers chocolates and a bottle of merlot! Previous articleWin a 10-portion George Foreman grill & griddle!